Sony can finally get back to business with the PlayStation Network worldwide after an announced restoration in Japan. After what must have seemed like a lifetime to Japanese PlayStation 3 owners, Sony has announced a return for the PlayStation Store and other remaining PSN services in the region. Japanese gamers had to face a much longer downtime than the rest of the world after Sony was forced to shut down the service due to an external intrusion. The PlayStation Network, including online gameplay, has already been partially restored in Japan, but the PlayStation Store remained down due to believed security concerns from the government. Those concerns have apparently been allayed. 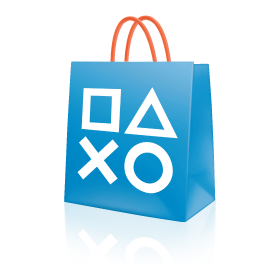 Sony announced that the PlayStation Store, code/voucher redeeming, and Qriocity services will be available in Japan again on July 6. After this date, the PSN will have been restored in all regions where it was previously taken down. Japan's PSN "Welcome Back" program will also be enacted sometime after July 6, allowing for free game downloads as an apology. I'm sure Sony wants to put all of this hacker business in its rear view, and the restoration of PSN services in Japan was one of the final stepping stones so that could happen. Sony and its partners can finally get back to just creating and releasing new content.